Behold the goddess of birth and rebirth! 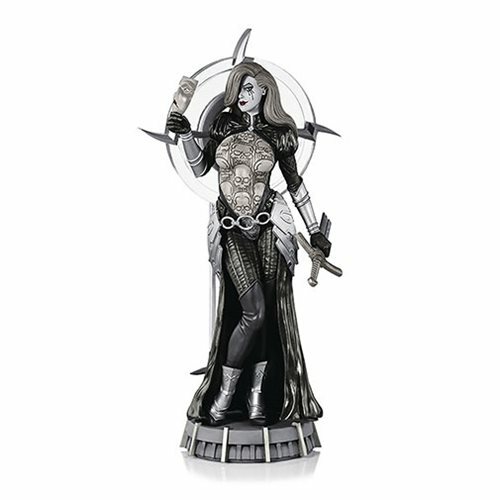 Astonishingly detailed black-and-white statue of Dawn! One of the most enduring characters in independent comics. Created by artist Joseph Michael Linsner and sculpted by RVCKVS International. Dawn, the goddess of birth and rebirth, has been one of the most enduring characters in independent comics since her creation by artist Joseph Michael Linsner in the late 1980s and her debut in Cry for Dawn #1 in December 1989. With sculpting by RVCKVS International and continued guidance from her creator, Dynamite Forces has spared no detail in bringing this iconic comic book idol to life in resin form as this astonishingly well-detailed Joseph Linsner Dawn Black-and-White Statue. Don't pass her by!